WE WILL BE HOSTING AN OPEN CALL FOR HOSTS, RUNNERS, BUSSERS, SERVERS, BARTENDERS FRIDAY April 11th from 1-4pm. Are you hungry to achieve excellence? Are you seeking the tools to realize the highest version of “you”? Do you seek a career path which promotes upward mobility? If so, apply for our Server position today! 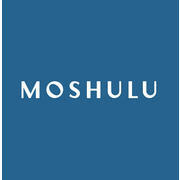 A Moshulu Server will be an expert at welcoming our guests into our home with warmth, enthusiasm, and grace in this fast-paced, multi-faceted restaurant. This candidate will have a desire to continue to learn and grow within our organization. Health/dental insurance, short-term disability, Employee Dining Program @ 11 Fearless Restaurants, career growth!